The News Agency of Nigeria, reports that INEC had, on February 26, issued a temporary voter card to the governor after applying for the transfer of his permanent card from Abuja to Okene. He said that INEC’s legal advisers had advised the electoral body not to deny Bello his right to vote and be voted for since he could not be tried at the moment. On the ongoing Continued Voters Registration, Apam said that INEC had registered 176,866 new voters in Kogi between April 2017 and February, 2018. The Resident Electoral Commissioner said that the new registrants comprised of 90,553 male voters and 86,313 female voters. During the period, he said that the organisation had transferred 7,169 permanent voter cards and replaced 9,400 lost or defaced cards. Similarly, INEC said it distributed 57,148 permanent cards to their owners within the same period, while 202,289 voter cards were still uncollected. Apam restated INEC’s readiness to conduct free and acceptable elections in 2019, urging all stakeholders to help in achieving that. Meanwhile, INEC has said it has received 108 applications from associations seeking to register as political parties and participate in the 2019 general elections. Out of these applications, only nine had successfully gone through to the final stage, the Chairman of INEC, Prof. Mahmood Yakubu, said on Thursday at the Social Media Week 2018 in Lagos. “The windows will soon close for associations to register as political parties,” Yakubu said. 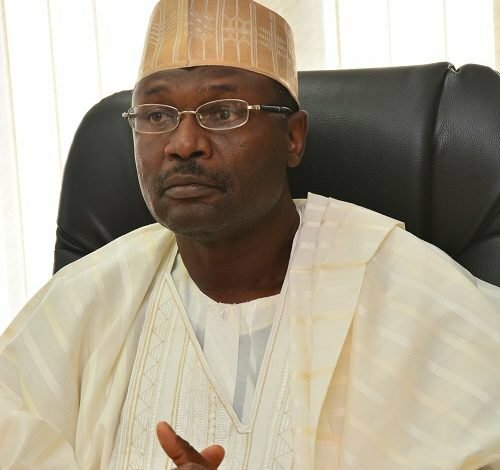 The INEC chairman, who addressed the theme, ‘Citizens, government and technology,’ via teleconferencing, stated that parties that registered six months to the elections would not be eligible to participate in the general elections. To discourage vote buying, Yakubu said the commission would increase sensitisation, enforcement and improve polling unit administration by restructuring the ballot boxes in a way that would not allow voters to reveal the identities of the candidates they voted for.